Sent in to bat first, the Proteas got off to a flying start, with Lizelle Lee (21 off 13, 3×4) and Dane van Niekerk (17 off 30, 0x4) putting on 25 runs in 3.2 overs. Lee did the bulk of the scoring before she was run out with her bat past the popping crease but not touching the ground. Van Niekerk and Marizanne Kapp added 35 for the second wicket in 5.3 overs before a flurry of wickets saw Kapp (25 off 19, 3×4), the recalled Sune Luus (0) and Van Niekerk all lose their wickets in the space of two overs and three balls for the addition of just seven runs. 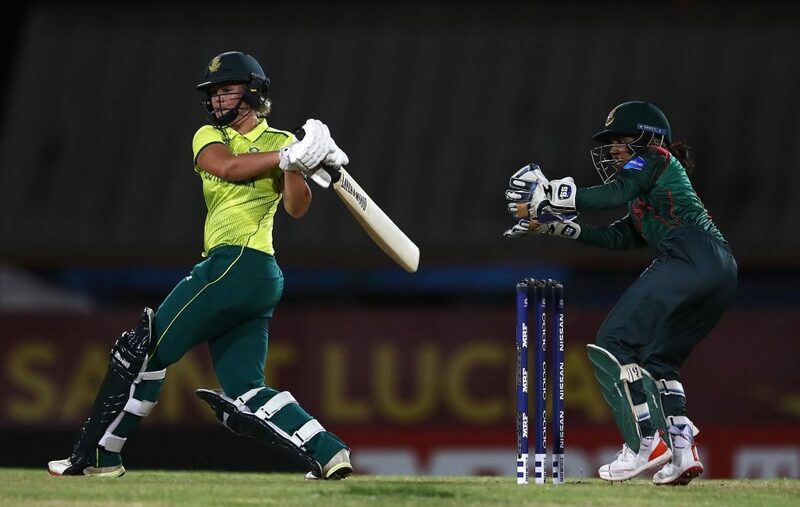 Mignon du Preez (14 off 15, 0x4) and Chloe Tryon (18 off 15, 2×4) weighed in with quick runs at the bottom of the innings as the Proteas stretched their scored to 109-9 off their 20 overs. Salma Khatun (3-20, econ 5.00) was the pick of the bowlers, and she was well supported by Khadija Tul Kubra (2-18, econ 4.50) and Nahida Akter (1-11, econ 5.50). In response, Bangladesh’s innings never got started, with only Rumana Ahmed (34 not out off 40 balls, 2×4) and Fargana Hoque (19 off 36, 1×4) making it into double figures as their team struggled through to 79-5 off their 20 overs. The opening pair of Kapp (0-6, econ 2.00) and Moseline Daniels (1-6, econ 2.00) were outstanding with the ball to stifle Bangladesh at the top of the order. The rest of the wickets were shared equally among the Proteas bowlers, with Tumi Sekhukhune (1-12, econ 6.00), Masabata Klaas (1-13, econ 3.25), Luus (1-15, econ 5.00) and Van Niekerk (1-17, econ 4.25) all bowling well. The Proteas will be disappointed to be heading home before the semi-finals, with their batters having failed to fire, but two wins from two was a decent return when you consider that their two losses were against two of the best T20 sides in their world. 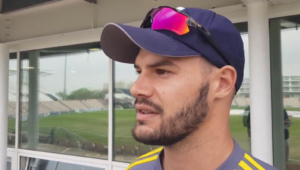 That will be little consolation for the Proteas because, as Van Niekerk has said on numerous occasions, anything can happen in knockout cricket. They will know that, if their batters had come to the party then, with their bowling line-up, the Proteas Women could have made a real challenge for the World T20 title.